As a change of pace from previous posts, I’d like to look into some of the ways that the human-altered environment may be impacting avian communication. Recently, a number of articles have been published that examine the impacts of human activities on bird song. Bird song is a surprisingly complex communication system that we are only just beginning to understand. In most species, male birds use song for two reasons: to defend territory, or to attract a mate. In either case, song is thought to be an honest signal of individual quality, much like sexually-selected plumage. When defending territory, males will often sing short, simple songs, and face off in vocal battles with rival males. Because singing is costly in terms of energy and time, only a male in good condition can sing loudly and continuously. When attracting a mate, however, males change their tune and sing longer, more complex songs. The function of song in sexual advertisement is very similar to elaborate plumage ornaments in that it signals individual quality to potential mates. For example, in many bird species, females prefer to mate with males who sing more complex songs or have larger repertoires. Experimental work with zebra finches has shown that males subjected to stress during development sing less complex songs later in life than males whose development was trouble-free. Thus, song complexity may be a good signal of genetic quality that females can use when picking a partner. The acoustic environment in a city is much different than in a natural setting. The background noise in human-altered environments is louder and generally lower in frequency than it is in natural habitat. This presents a problem for animals trying to communicate. In the last few years, a number of studies have been published showing that birds in cities alter their song characteristics in response to urban environments, for example by singing at a higher frequency to communicate efficiently over low-frequency background noise. This is probably not the result of natural selection favouring birds with innately different songs in urban populations. Instead, it is probably due to birds born in cities learning to sing at a higher frequency in order to communicate effectively in their acoustic environment. 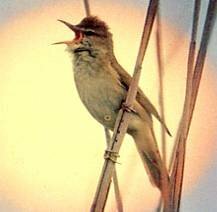 It has been suggested that local changes in bird song may lead to the divergence of communication systems between different populations. Because many female birds choose mates based on song characteristics, this divergence could lead to reproductive isolation between urban birds and surrounding populations. Cities therefore provide a unique opportunity for researches studying bird song in a number of different ways. Understanding how communication is altered in these environments may help us understand the evolution of signal diversity. At the same time, this work could help us understand the best ways to manage urban animal populations. Next Post → Language Instincts: Do animals lie?